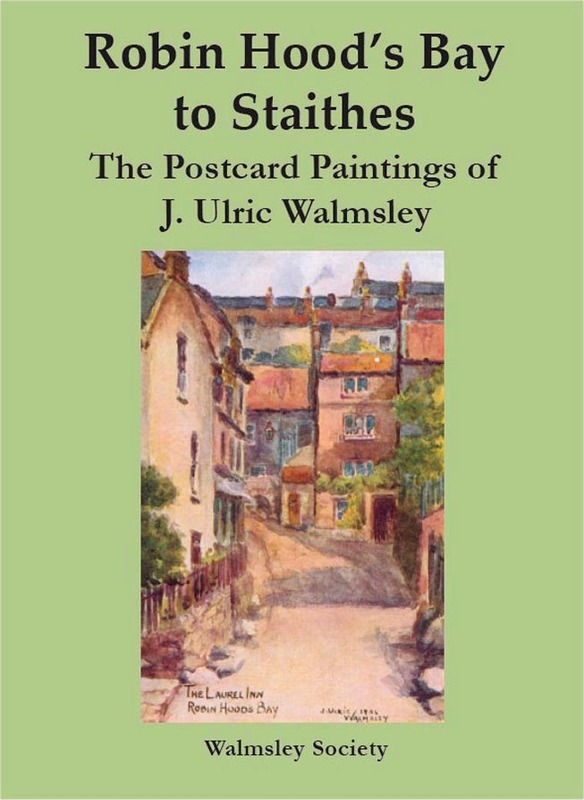 Leo's father, James Ulric Walmsley, was a gifted artist who spent the last sixty years of his life in Robin Hood's Bay, North Yorkshire, England. 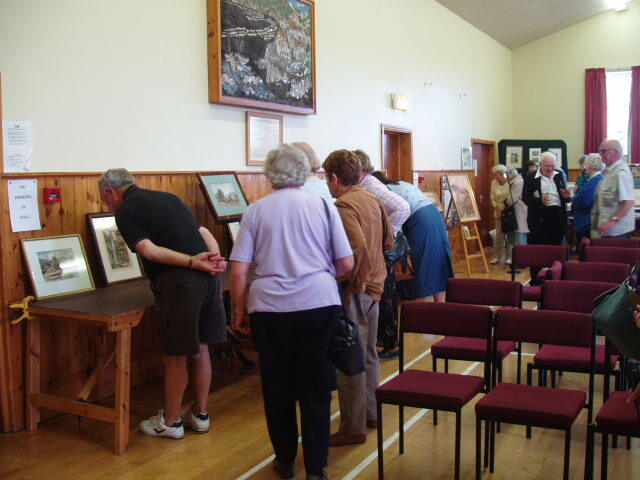 His paintings of this area in oils and watercolours are now greatly appreciated and much in demand. 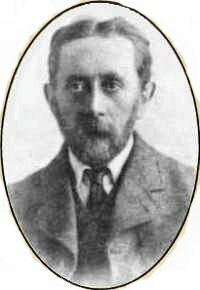 Ulric was born in Liverpool, and trained as an architect in Ireland. He then worked on church decoration before undergoing art training, which included studying under Stanhope Forbes in Newlyn, Cornwall. 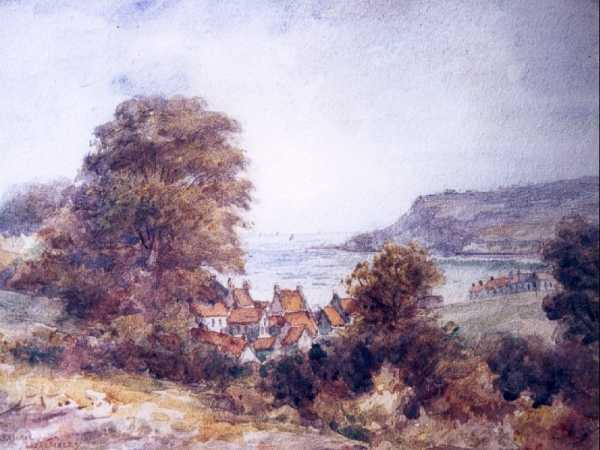 Ulric described Robin Hood's Bay as the most beautiful place he had ever known and was confident that he could achieve his artistic aspirations there. He finally realised his life ambition at the age of 93 when his portrait entitled "Grannie", completed half a century earlier, was accepted by the Royal Academy in London, England. 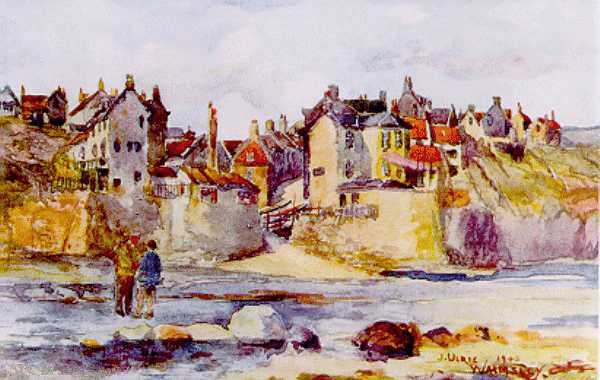 This is one of the many watercolours which Ulric Walmsley painted of Robin Hood's Bay – this particular scene was painted in 1905. This view from the foreshore shows the tightly-packed houses clinging to the cliffs. The scene has changed somewhat since 1905 with the addition of large concrete sea-walls either side of the slip-way. A 10 inch by 8 inch watercolour, this attractive view of Baytown from the north, with the headland of Ravenscar in the distance, is part of a private collection. 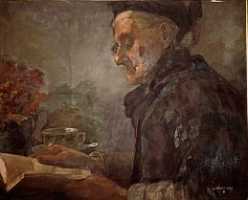 Unfortunately the painting is not dated, but studies of Ulric's signature style suggest it is likely to be 1909 or later. 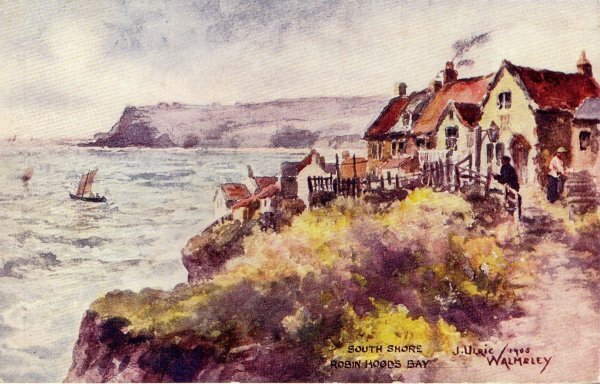 (Watercolour) This painting is one of a series which was commissioned by Ruddocks of Lincoln for publication as postcards, which were widely sold in the Robin Hood's Bay area for many years during the early part of the 20th century. They are now very collectable items. The subject is a familiar view of the village from the cliff and includes cottages which have long since disappeared due to coastal erosion. The main road from the north once ran along here, before collapsing into the sea in 1780.
as postcards for Ruddocks of Lincoln, and Henry Jenkinson of Leeds. work on exhibition in 2005.
from private collections – were brought together for display to the public. 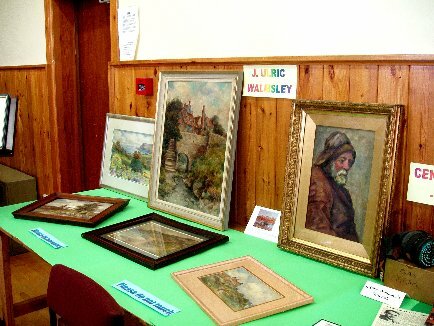 Ulric was a founder member of this Group, the subject of a display board housed in the Robin Hood's Bay Museum. It can also be seen HERE. 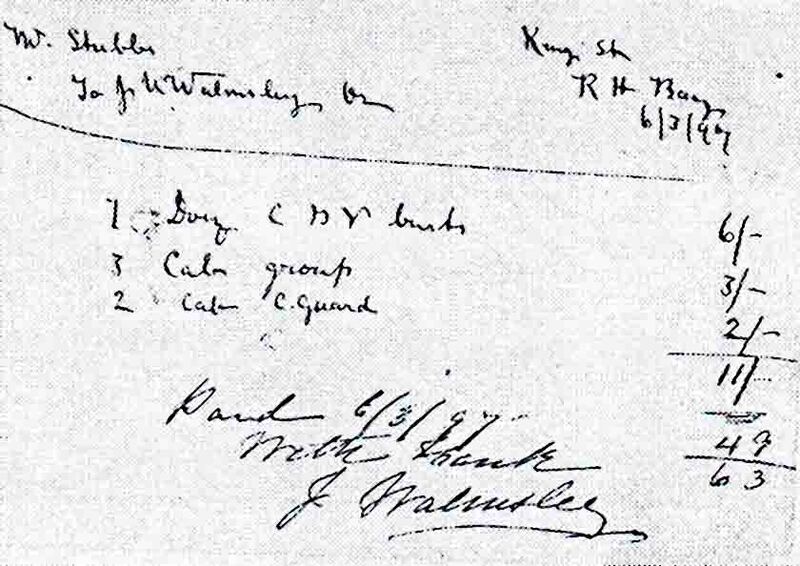 A rare example of a receipt signed by Ulric for items sold from his shop in 1897.